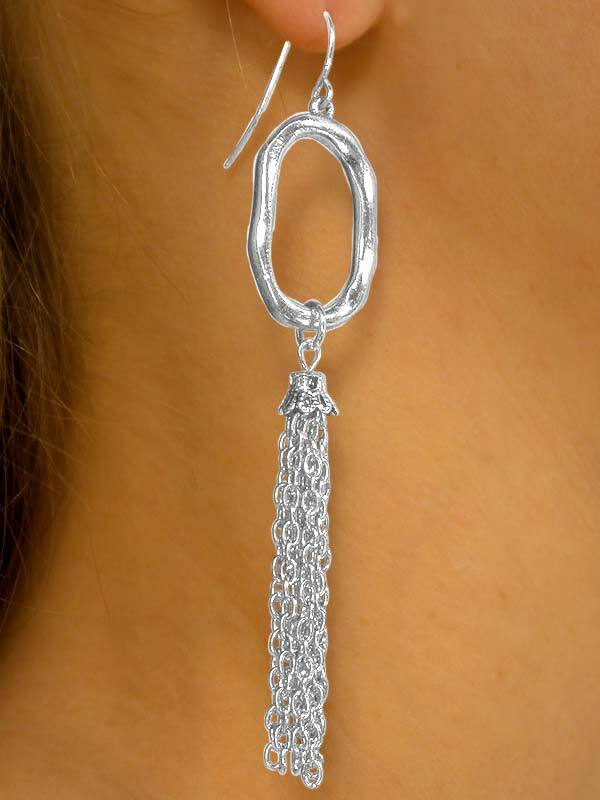 Dark Silver Finish Lobster Clasp Is Created With Multiple Chains Separated Into Sections By Two Oval Rings. From The Center Hangs A Chain Tassel Drop. Necklace Includes Matching Fishhook Wire Earrings. 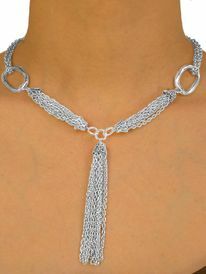 Necklace Measures 17" Long, Plus 2" Extender. Earrings Measure 3 1/2"L x 3/4"W.
Scroll Down Further For Available Bracelet W10004B! Scroll To The Bottom For Available 2-Color Assortment!